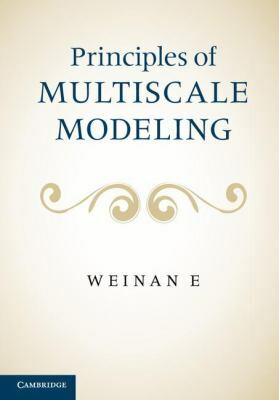 Written by a leading contributor to the field, this book provides a unified treatment of multiscale modeling, covering, in a systematic way, the general principles of multiscale models, algorithms and analysis. Simple illustrative examples ensure that technicalities do not prevent the reader from understanding key concepts. Weinan E's research is concerned with developing and exploring the mathematical framework and computational algorithms needed to address problems that arise in the study of various scientific and engineering disciplines, ranging from mechanics to materials science to chemistry. He has held positions at New York University, the Institute for Advanced Study in Princeton, Peking University, and Princeton University, where he currently is Professor in the Department of Mathematics and in the Program in Applied and Computational Mathematics. His research has been recognised by numerous awards, including the 2003 Collatz Prize of ICIAM, and the 2009 Ralph E. Kleinman Prize, from SIAM.